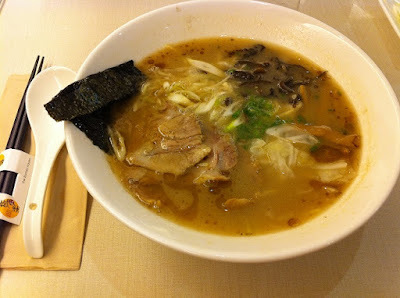 I was intrigued about a new ramen shop at Mid Valley that WL was raving about for a couple of days. According to him, the secret behind such savoury broth in every bowl of their is the use of good quality pork as the main ingredient. I had a feeling that a dose of "ajinomoto" aka MSG adds a magic touch to the broth as well. Anyhow, I was eager to try & got excited when WL had to drop by Mid Valley to buy a new pair of trainers. After all, he promised to bring me there knowing that I fancy good food as much as he does. We met up with my sister who so happened was busy scouting for mooncake for Mum & asked her to join us for dinner. The menu design with creative use of different materials exudes a sense of authenticity but not trying hard to be posh nor lavish. This is a one-of-a-kind that definitely caught my eye. We made our orders & waited patiently for them to arrive, bowl after bowl. Being a photography lover in me, I just couldn't help toying with my iPhone camera while getting my sis to be my model. 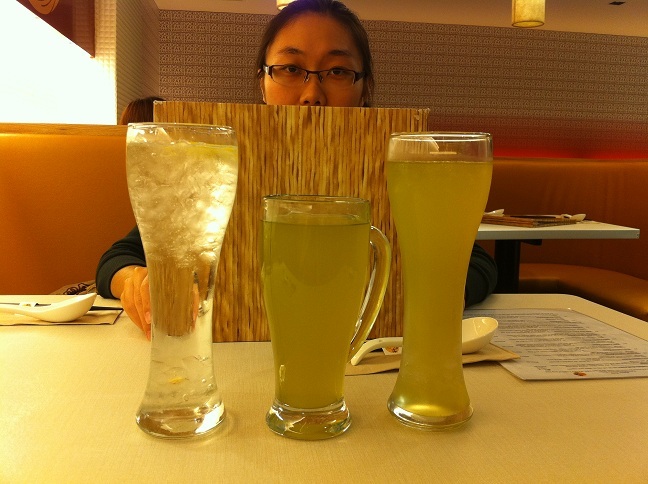 The glass drinks caught my attention too. My bowl of ramen arrived first & it's called Char Siew Kuro Tonkotsu Ramen. Phew...a mouthful of words eh? The taste is so rich in aroma & texture. Amazing~ Definitely a savoury bowl for the soul. Yum! 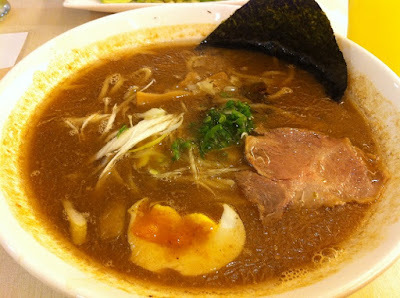 Next came WL's choice called Ultimate Tonkotsu Ramen. Another delicious one, I'd say. 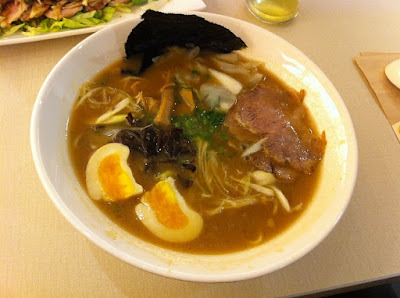 Lastly, my sis' order was served & this is how her ramen looks like. We had the option to add leek oil but only my sis requested for it. Unfortunately, it turned out too oily. 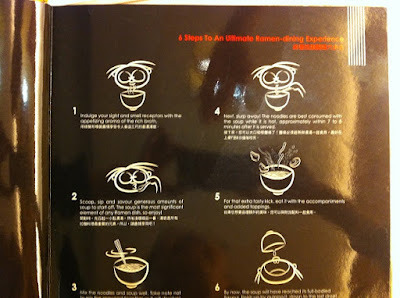 No doubt WL's order tasted fantastic but my sis had a little hard time consuming her noodles. It was oily but still good nonetheless. We have learnt our lesson not to add leek oil as the broth is slightly oily in nature. 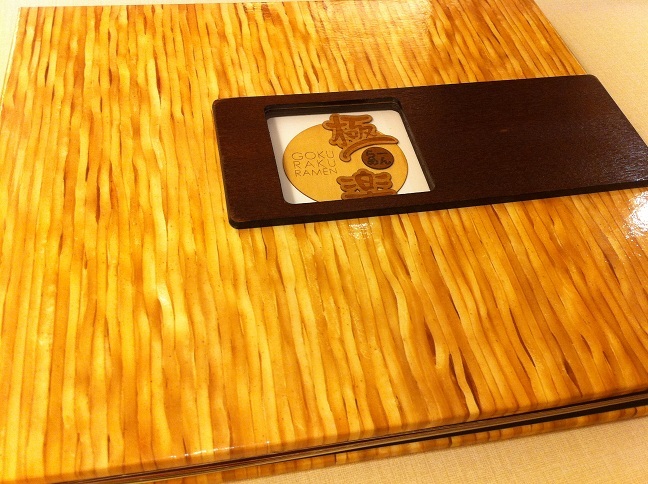 Price is generally steep for a bowl of ramen & one might consider it not worth a 2nd visit. I'd beg to differ - althought pricey it may be, what you get is a humongous bowl of noodles with lots of fresh ingredients. Not to forget the fabulous broth boiled from fresh pork (plus a little MSG). I'm in for a 2nd visit for sure but not that frequent, of course. I'd give thumbs up for such gastronomic feat.